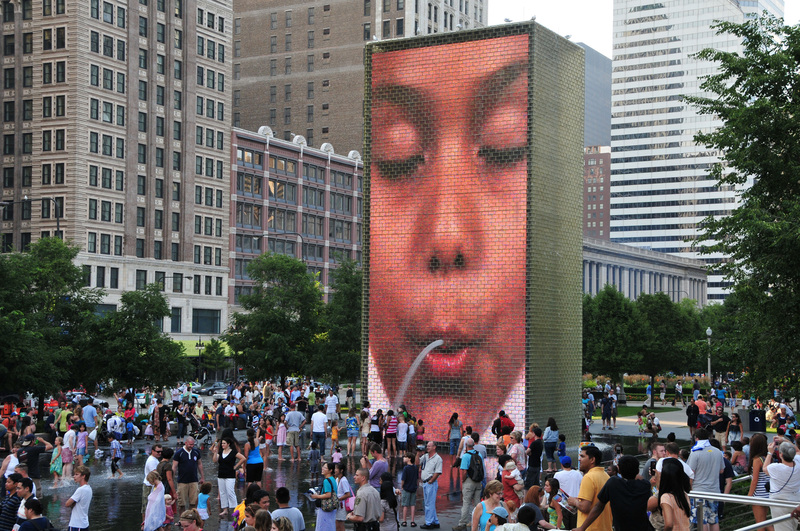 Home to some of Chicago’s most recognized public artworks, Millennium Park serves up to one hundred thousand people from around the world on any given day. As the operational backbone of the Park, the Foundation looked to us to help relay their story to a larger audience. 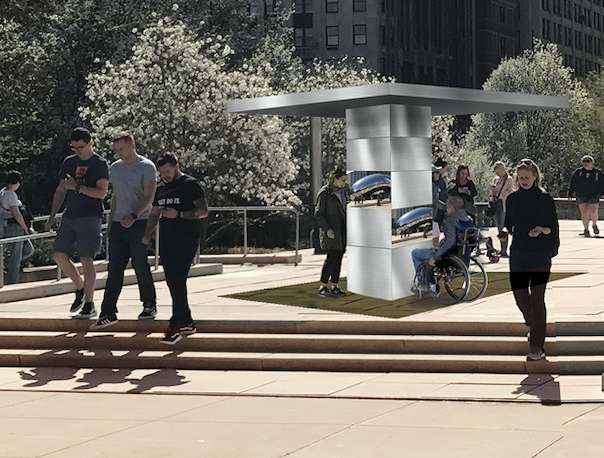 We did so by designing a series of permanent public art kiosks, combining an artistic and strategic process that matched the Park’s aesthetic integrity. 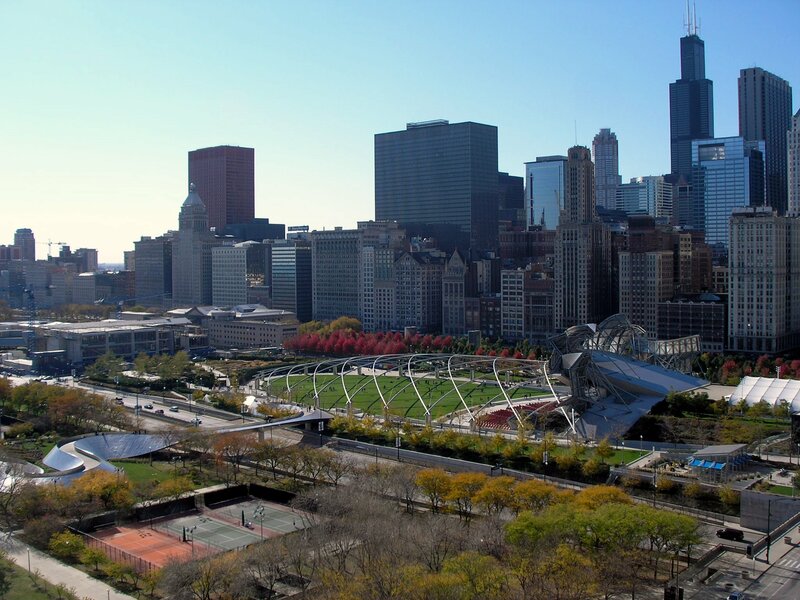 Established in 1998, Millennium Park Foundation is a private nonprofit organization dedicated to the stewardship and curation of Millennium Park. 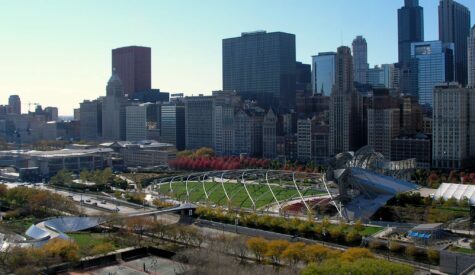 The mission of the Foundation is to provide funding and operational support overseeing aspects of the design, restoration, and preservation of Millennium Park, while maintaining it as a free and equitable public cultural space that has come to represent the cultural heart of Chicago.  Since day one, Curmudgeon Group has come to the table fully prepared to both conceive and execute ideas that meet the uncompromisingly high standards set by the Foundation for itself and Millennium Park. Their ability to push creative limits and engage on a strategic level is what makes them such a worthwhile investment. Every meeting results in strikingly fresh and bold ideas, yet grounded in pragmatic next steps, a rare balance that feeds the artistic and operational needs of the Foundation’s staff and board as well as visitors to the park. 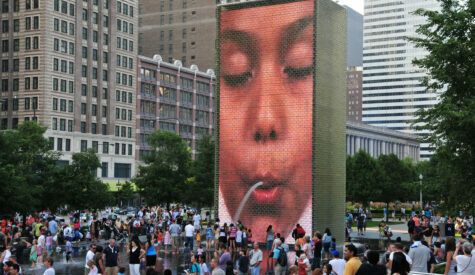 The Foundation saw the opportunity to communicate their story – and the history behind the artwork within the Park – to a wider public audience. While not an immediate threat, the Foundation also faces the challenge of engaging a younger philanthropic community in future years. The primary goal was to create an interactive, accessible, immersive, and educational experience blending the past and future of the Park and its relationship to the Foundation. 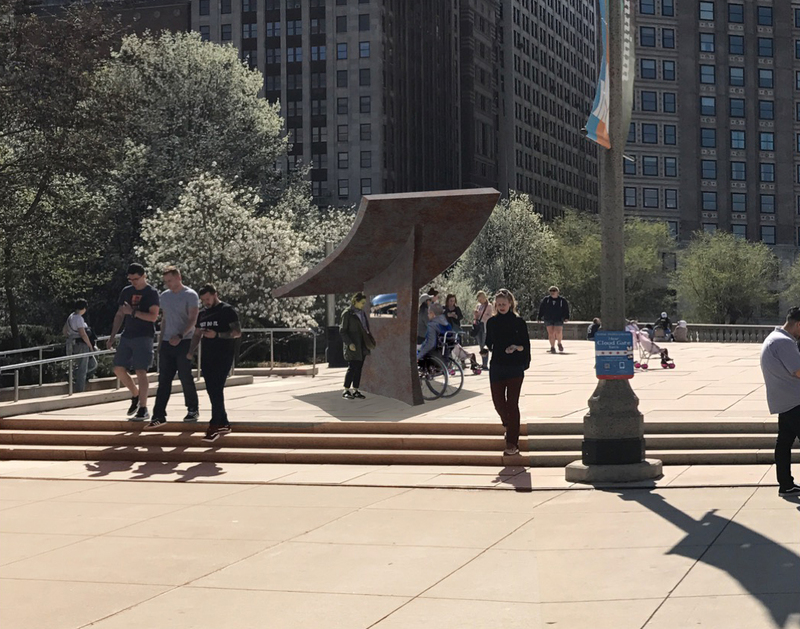 In turn, the Foundation looked to raise their visibility and maintain and enhance the uncompromisingly high standards of the Park along the way. We began with a deep dive into the history and role of the Foundation, the existing artwork within the Park, and how it came to be. Our approach to this type of large-scale, complex project was through an open and collaborative process with regular meetings with the Foundation’s Executive Director and feedback from the Board. This facilitated a fluid discussion of likes and dislikes, tone and style, fabrication processes, shifting timelines, budgets, strategic vision, and proposed sites. Moving from sketches to detailed site mock-ups, we articulated materials, size, accessibility, video features, and color. 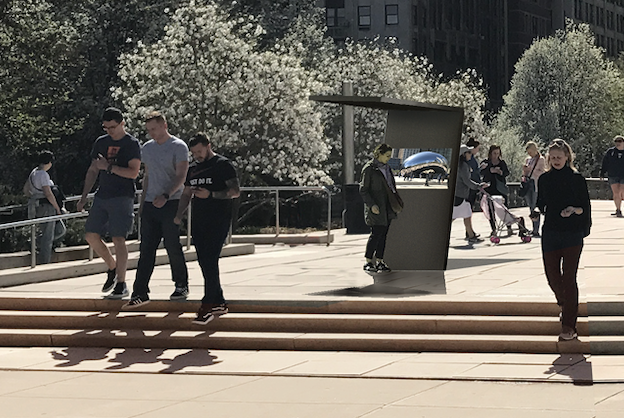 Each of the five kiosks sit in proximity to five of the most recognized public art and landscape pieces within the Park: Lurie Garden, BP Bridge, Pritzker Pavilion, Cloud Gate, and Crown Fountain. 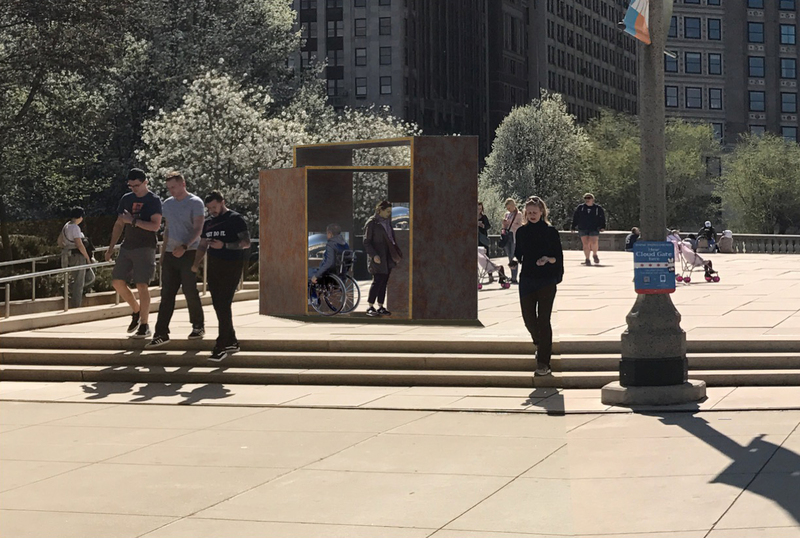 It was important for the kiosks to exist not just as “informational kiosks” but as public art structures that augmented and drew inspiration from the permanent collection. 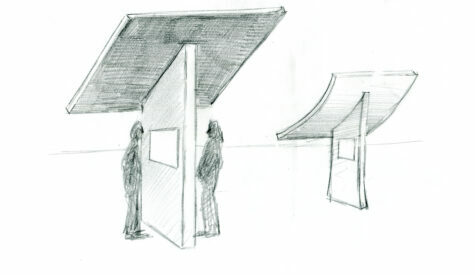 In addition to meeting these high artistic standards, the kiosks serve the public as easily recognizable, interactive structures with minor variations in form. 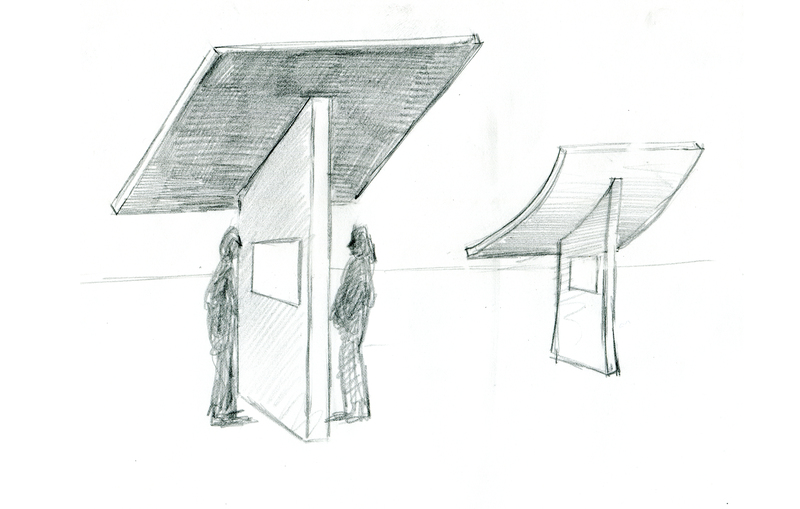 Our final delivery included five kiosk renderings and site-studies. The final delivery allowed the Board to move seamlessly into the next stage of project execution, involving bids for structural fabrication. Each of the final designs met the initial goals set forth for creating a series of permanent structures that were accessible, informative, recognizable, and artistic. Do you have a hankering for impact?